As a result of increasing activity both within our R&D projects, as well as an increasing demand for process engineering competence, OiW has recently hired another employee in our location in Porsgrunn. Here you can meet our new co-worker and read some of his thoughts regarding starting in OiW. This winter we hired a new employee at our office in Porsgrunn. Per Bakke started working with us from February 1st, and he has brought along competence and experience from a very rich and interesting career. His competence and knowledge is on many fields complementary to what we already have, and he has already been able to do major contributions to our projects. Below, you can read more about Per, and his thoughts regarding working with us. In a small company like OiW all employees will potentially have direct influence on how the company develops, both technologically and strategically. I got a very good impression of the company, its environmental profile, the people, their values and visions. Also, my competence and experience is to a great extent complementary to the competence already in the company. All this creates a special motivation for contributing to developing the company going forward. I was educated as MSc (Sivilingeniør) in Applied Physics and Mathematics and PhD in Process Metallurgy, both from NTNU. 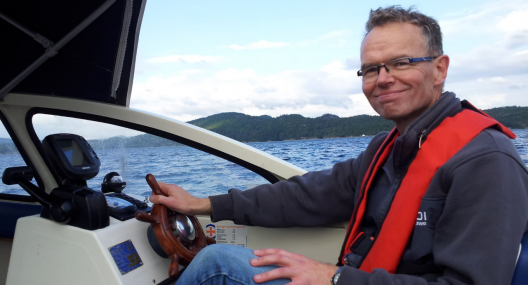 I started working with Elkem in Kristiansand and moved to Hydro and later REC, both in Porsgrunn. I also had a short spell with REC in Singapore. I have led or been involved in a number of R&D projects on process and product development including refining of silicon and magnesium, magnesium alloy development and crystallization furnace technology. The focus has always been on bridging the gap between R&D and the production environment through transfer and implementation of relevant R&D results. OiW is offering solutions to a number of very important environmental challenges both within the industry and in the society. In light of this, the future is bright and the company has a significant growth potential both domestically and abroad. The key to realize the growth will be through selection of the right projects and partners.